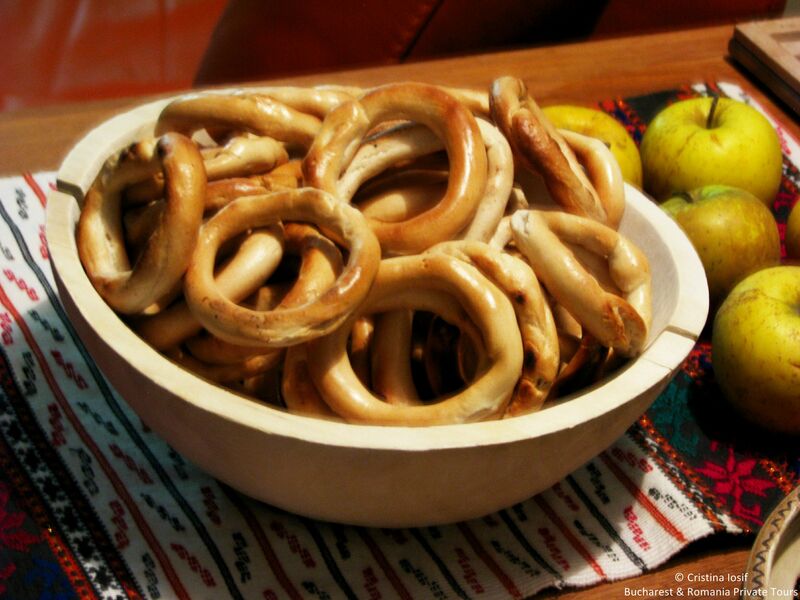 The pretzels (Romanian “covrigi”) are a famous specialty of the town of Buzau, located at the south-eastern foothills of the Carpathians in the region of Wallachia. Legend has it that the pretzels recipe was introduced to Buzau around 1800, by Greek merchants who settled in the area. Since January 2007, “Covrigii de Buzau” are a European protected trademark.